Yummy ways that preschoolers through second grade can experience different kinds of corn snacks. 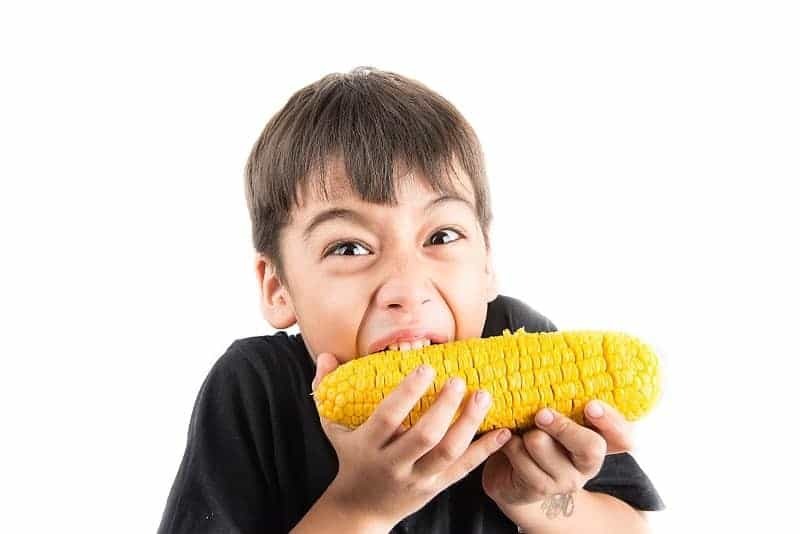 Always remember to make sure there are no corn allergies in your classroom. Cornmeal muffins are an inexpensive and delicious snack. They are easily made with a Jiffy cornmeal muffin mix an egg and water. Bake and eat warm. Kids love ’em and they have a corn texture. Remove the silks from your piece of corn and spread with real butter. Place the corn in a brown paper bag and close it tightly. Put it in the open end of the second bag so that both bottom ends are facing separate directions. Pop it in the microwave at 50-75 percent power for 4 minutes. Might be some trial and error depending on your microwave.